It’s crowded at the top of the bantamweight division. Sitting on the divisional throne is Dominick Cruz who, earlier this year, returned from an ridiculous stretch of injuries to reclaim the title with a tooth-and-nail decision defeat of TJ Dillashaw. Since then, he’s tightened his grip on the belt with a lopsided defense against his long-time rival, Urijah Faber. Directly on Cruz’s tail is his next challenger, Cody Garbrandt. The undefeated 24-year-old earned his title shot, which will occur in the co-main event of UFC 207 this December 30, with a run of five-straight wins in the Octagon, including first-round knockouts of Augusto Mendes, Thomas Almeida and most recently, Takeya Mizugaki. Then, there’s the former champ TJ Dillashaw. Though he surrendered the title to Cruz in January, the margin by which he lost is as narrow as they come. The Ultimate Fighter veteran remains one of the bantamweight division’s very finest players, as he proved on the undercard of UFC 200 in July, when he dominated long-time contender Raphael Assunçao to a unanimous decision win. 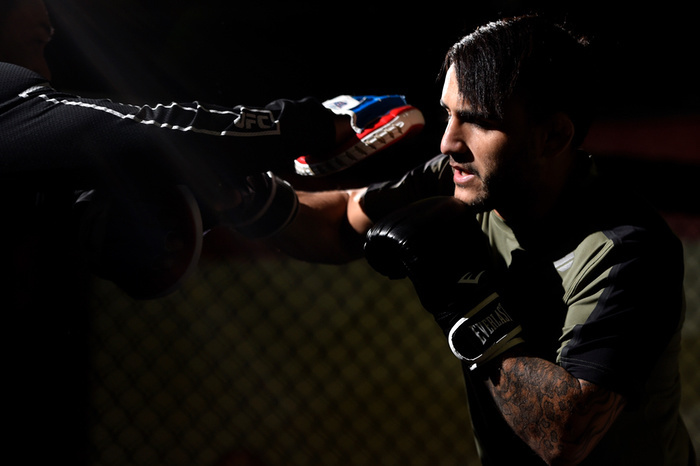 Beyond Dillashaw, there is John Lineker. Lineker began his UFC career as a flyweight, but the success he achieved in this division was marred by his tendency to miss weight. These weight issues eventually forced the UFC to push him north to bantamweight. And though he did miss the bantamweight division’s 135-pound cap for recent battle with John Dodson, that miss was only by half a pound, and he’s looked absolutely fantastic otherwise, defeating Francisco Rivera, Rob Font, Michael McDonald and Dodson since joining the division.